You must make reservations at least 5 minutes in advance of the time at Tony & Elaine's. Government Center Garage or metered visitor spaces on N. Washington St.
Tony & Elaine's is a red sauce Italian joint located in the North End at 111 N. Washington St.
Small restaurant with outstanding service, great food and wine, reasonable prices. Love the meatballs and red sauce. Short walk to Boston garden. Highly recommended! My husband just ran the Boston Marathon and wanted a good meal. I recently saw Tony & Elaine's on Phantom Gourmet so I had to try it. I live in Charlestown and go to the North End quite often, but a Saturday night out there can be pricey! The prices at Tony & Elaine's were super affordable and the food delish! The mozzarella sticks are a must try as well as the Orecchiette with Broccoli Rabe & Sausage! I will be back sooner than later! Our waiter was the best! This is a fairly new restaurant and we picked it by location (close to train) and the recent good reviews. 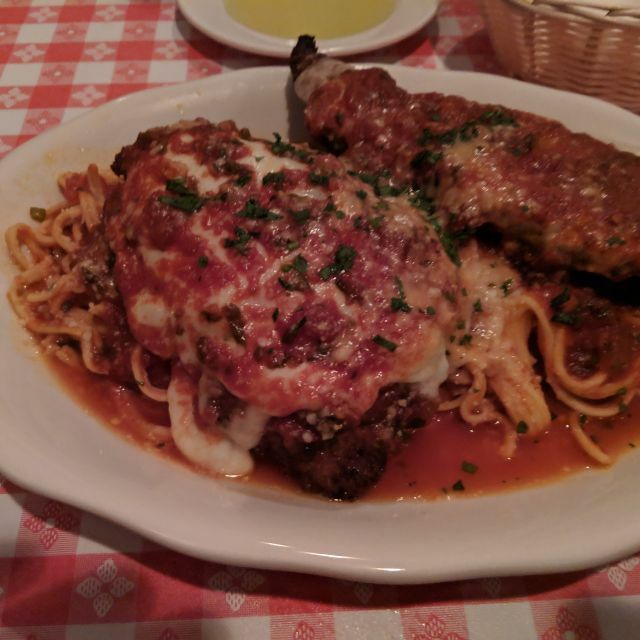 We had the veal and chicken parmesan - both were quite good. The meatballs are exceptional! Next time, we are going to get a double order of those with pasta. The servers and staff are friendly and the ambiance is warm. Inadequate service--one waiter for the entire room. Mediocre food. Poor choice of music--why light rock in a "red sauce Italian restaurant"? Try Frank Sinatra, Dean Martin, etc. No reason to come back. The menu is limited, but the food was good and the service was fast. 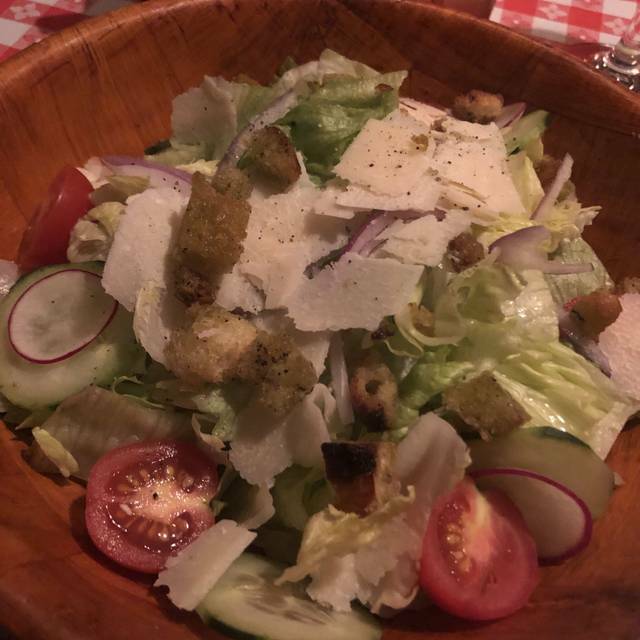 The salad was okay, but some of the iceberg lettuce had brown lines on the edge. Beyond the salad, which was, manageable, I have two issues with this dinner. First, for $12 the amount of wine you get is very small and secondly my bill was for one amount and I was charged a much higher amount by mistake. I believe it was a mistake, because the staff is moving fast at this place, just double check you bill before and after they run your credit card. All and all, this is a good place with some minor adjustments (see above) it could be much better. Great, Authentic, Italian food! Superb service! We enjoyed the tucked away feel of the restaurant! Service was lovely and you could actually hold a conversation without screaming!! Food was very good; the bread was not our favorite. A crustier bread would have been better paired with the oil. We would definitely return. Thanks for making our birthday dinner memorable! Great service and food! Delicious Italian food. Loved the old school atmosphere! We’ll definitely be back. Great Italian food. Close enough to the Garden to grab something before a game or concert. 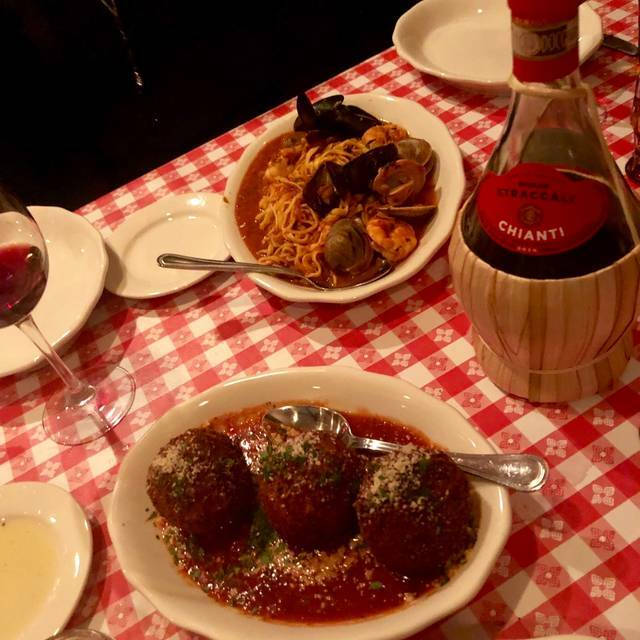 When you visit here, be sure to have the Meatballs as either the Appetizer or with your Entrée. This was our first time here and it was packed (so we had to be seated in the 'Basement' that we had read about in other reviews). That was really the only 'down' side, however, because the Meal was great and our Server was excellent ! Would definitely recommend ! Meatballs and Calamari were really good! Best chicken parm I have had in a while! Waitress was AWESOME! Super fun, delicious meal. Very relaxed with good service and good food. Not over priced. Agree with other reviews that the meatballs are great, but the rest of our meal was underwhelming. The food was good,not great. Music Choice(Rock) seamed a little strange for an Italian Restaurant. Overall I would give it B-. Everything here was good, not great. I find it hard to believe that there aren’t better meatballs in the North End, regardless of award (though they were tasty). I know of multiple better plates of parm. It was a solid, satisfying meal more fitting a small town place...but there are so many better options a few blocks away. It was, however, relatively cheap. Great ambiance. Standard North End Italian food - nothing great but not bad for the price. Veal was excellent. Lobster ravioli left much to be desired. 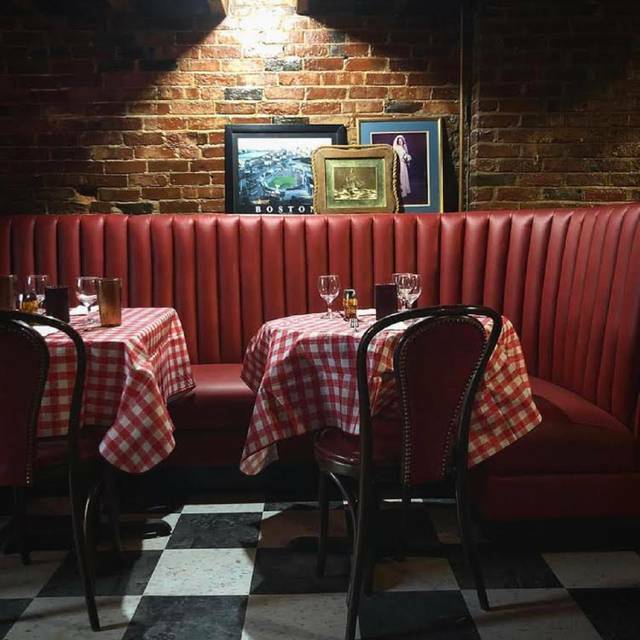 Cozy, throw-back atmosphere was perfect for a get together with friends, but also would be fun for a date night. 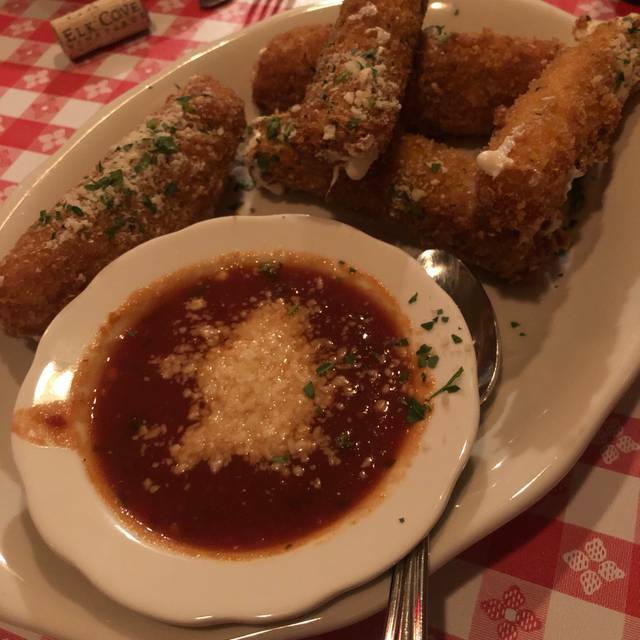 The meatballs, mozzarella sticks, eggplant parm, and cannoli were our favorites. I appreciated their amaro offerings- we enjoyed trying different Italian ones and their housemade limoncello. Delicious Italian food for a reasonable price. The space was great, kitschy red sauce throwback. 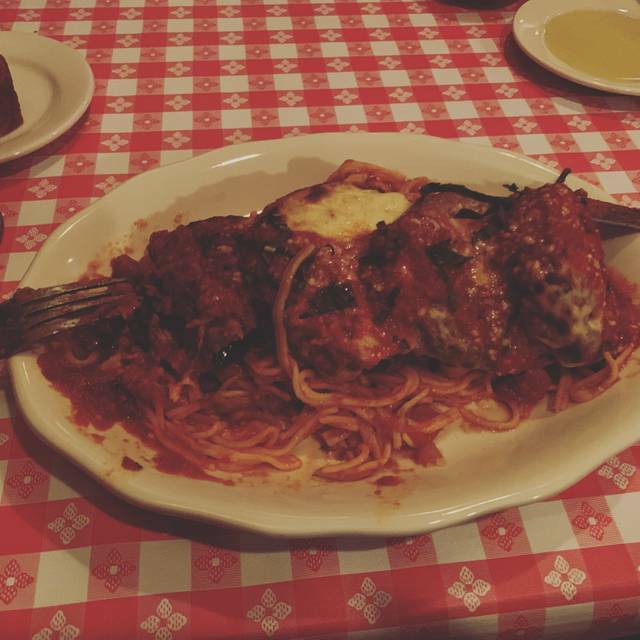 The spaghetti and meatballs were delicious as as well as Ceasar salad and the salumi platter. But the other food came a little short. The pasta underneath the chicken parm, eggplant parm and Fra Diavolo was over cooked and stuck together. Some of the eggplant was undercooked and the Fra Diavolo was too spicy. Our server was nice and the wine list balanced. Over all is was a good experince but the food needs some attention to detail. This place is excellent. Best homemade pasta I have ever had. Better than most of what I've had on Hanover St.
Food and restaurant ambience was great! Shout out to our server Juan! The nicest person ever! Perfect way to end a Saturday. Tony and Elaine’s had wonderful service, great music, and very tasty food. The cacio e pepe was perfectly cooked and the serving size was just right. I highly recommend the house made limoncello! Short walk from TD Garden for an excellent Italian meal. Hopefully by our next visit they will have added a nice minestrone soup to the appetizers. Will be back. Traditional Italian the way I remember. While it's always great fun to see a newcomer in such an entrenched dining neighborhood as the north end, you have to have something distinct/unusual to stand out in this crowded field. I know that Tony & Elaine is brand-spankin' new BUT, they need something else other than self-promoted PR pieces on Grandma's meatballs. They are run-of-the-mill. As is almost everything else. Service was first-rate as was the music/playlist. Work harder on menu/cooking. Also, get better front-of-the-house greeter. Place was empty and they wanted to seat us in a "purgatory" table environment. Stellar scratch kitchen and great service with freshness you can taste. 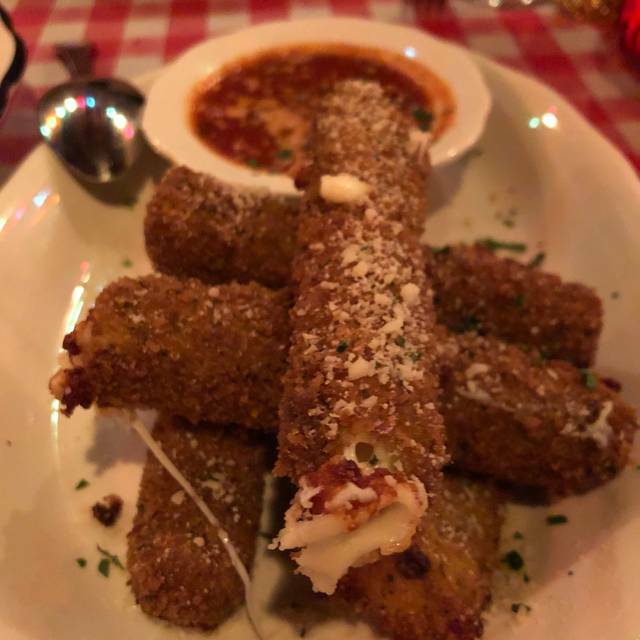 Mozzarella sticks, house Italian salad, meatballs, Maine Lobster ravioli and penne alla vodka were all 10/10. Can’t wait to get back. Short menu. Food good. Plenty. Hostess wasn’t friendly. Veal wasn’t good. Meatballs were great. Waiter was great. Great food and great atmosphere. All for awesome value. This is our new neighborhood favorite. I had one of the Parm's , food is a matter of taste, but I thought for Boston Italian it was just O.K. So happy to try Tony and Elaine’s. Everything was fabulous. We will go again! The only thing that they need to work on is the music volume. We had to move our seats as it was too loud to have a conversation. Other than that, food was delicious!